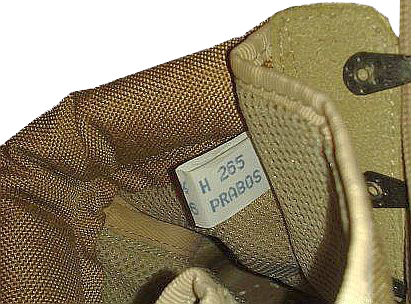 "Prabos" ("Prabos plus a.s.") company with manufacturing facilities in Slavičin town is the main supplier of footwear for hot and dry climate for the Armed Forces of the Czech Republic (abbreviation - "AČR"). Such boots were modelled by the famous American "desert" boots, with composite boot's top, made of leather and Cordura (Nylon). 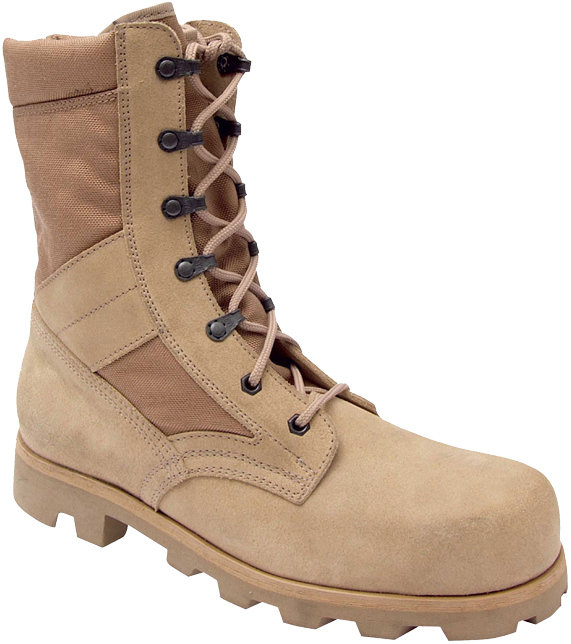 However, unlike the American single-coloured prototypes, the Czech "desert" boots are non-uniform in colour: the suede upper part is light brown and nylon parts are "coffee"-coloured. As distinct from the American "desert" boots, with their Direct-Molded Sole (DMS) construction, the Czech "desert" boots are stitched and glued, and the vulcanized rubber protector glued as well. 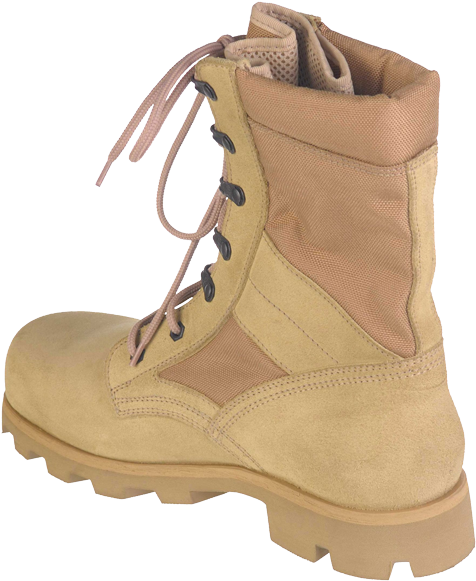 The boot's toe, counter and lacing system are made of suede with hydrophobic impregnation. The slant side strips, which are intended to protect the malleolus bones and reinforce the overall boots construction, are also made of suede, just in the same way as in the earliest models of American "desert" boots of the year 1990. The boot's counter and toe feature padding inserts. The boot's lining is made of TEBOX® (thermo-regulation and perspiration-disposal textile), the soft cushioning "collar" on the top of the boots and other non-leather elements of the top are made of nylon (CORDURA®). The insoles are made by DRYSOLE® technology. 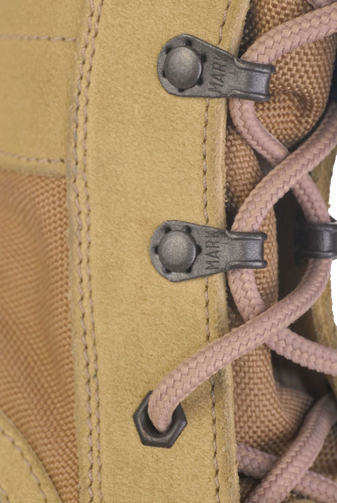 The boot's tongue is stitched high to the boot's top, the marking and manufacturer's instructions are indicated on a label inside the boot. Similarly to the other "desert" boots, the Czech ones feature no ventilation and drainage holes on the lower inner sides of the boots: such holes make no sense in the arid desert conditions, unlike in the wet jungles. 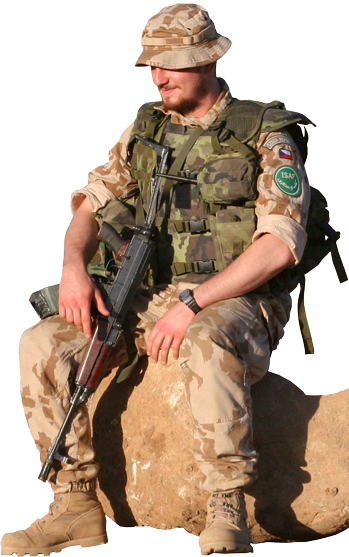 The Czech boots are lightweight enough compared with the other army boots: a single boot weights just 850 grams. The lacing system consists of five pairs of "MARK" speed-lacing eyelets in the upper part and two pairs of simple round eyelets in the lower part of the lacing. Such composition proved to be more efficient and convenient in comparison with the system of full speed-lacing eyelets: massive cylindrical-shaped eyelets on the instep only hinder, but does not really accelerate the speed of lacing. 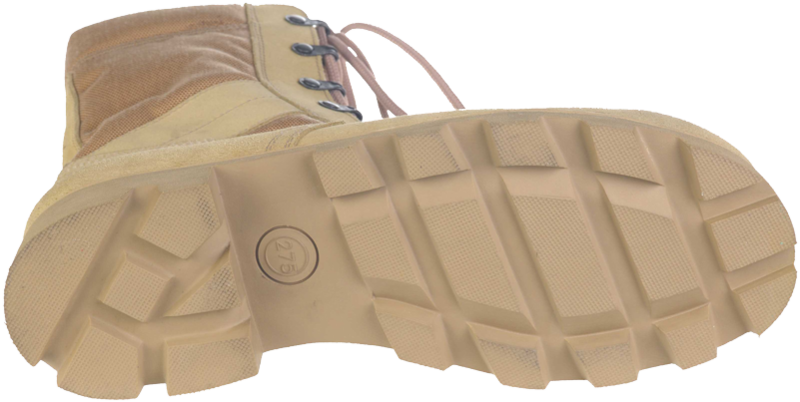 The out-soles of the Czech "desert" boots feature "Desert" type tread pattern, which is a copy of the US "Panama sole", and made of solid sand-coloured vulcanized rubber, non-slip and spike-protective (steel plates in the soles protect against punctures from below). The cost of these boots in the Czech Republic is 1200 CZK that is about 44 Euros as of December 2013.